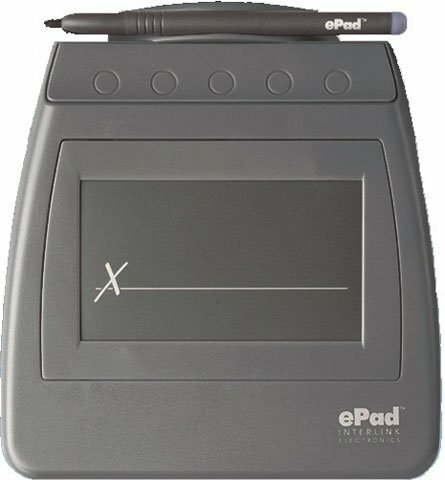 ePad is ePadLink"s entry-level, portable electronic signature capture device that produces legally-binding esignatures and comes bundled with IntegriSign Desktop. Plug-ins for Microsoft Word, Excel, as well as Adobe Acrobat allow users to begin esigning out of the box without any programming experience. 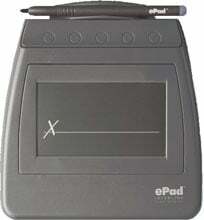 Powerful SDKs can be used to implement an esignature solution in any environment. Signing Area: 3.50" x 2.09"